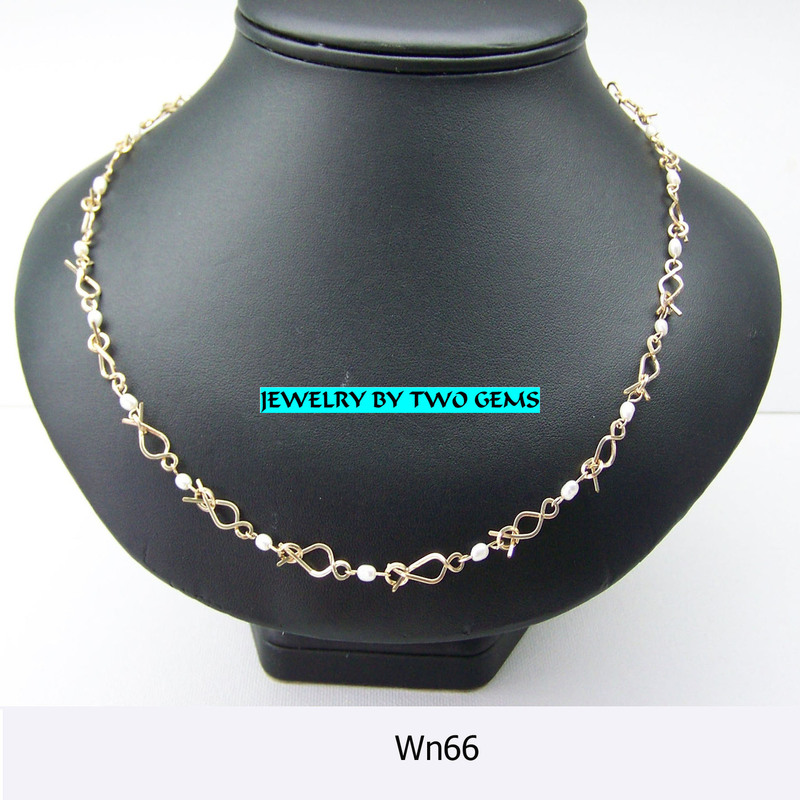 14KT Gold Filled Wire Wrap Necklace with Fresh water Pearls. Measures 201/2" wire is 21 gauge square. This is a delicate chain of tiny fish shapes and pearls Has a hand created shepard hook closure.